Welcome to the ‘Vitabath Lotion and Gelee Giveaway’. You will love the scents that come out of these bottles. They are made to feed your skin with Vitamins and Antioxidants while making your skin fee amazing! 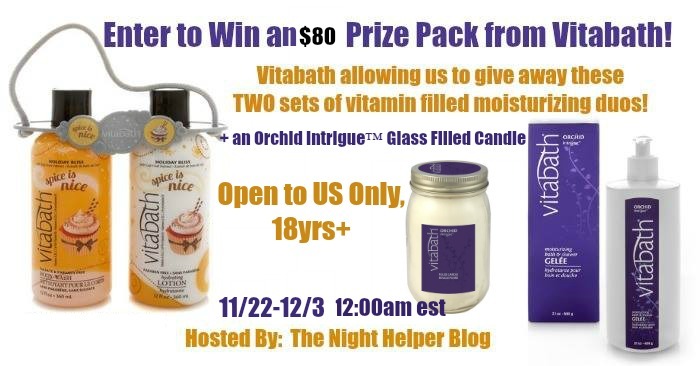 Vitabath allowing us to give away two sets of vitamin filled moisturizing duos plus one of their scented candles. This is an $80 arv. You can read my review of the products at Vitabath Review!